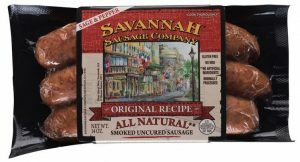 In slow cooker, mix the sausage and chicken, tomatoes with juice, onion, garlic and broth. Add your oregano, parsley, Cajun seasoning and thyme. Stir all ingredients. Cover and cook 6 to 7 hours on low, or 3 to 4 hours on high. 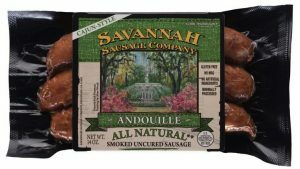 May be served over rice, noodles or corn bread. 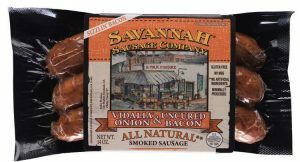 Learn more about our 3 premium Savannah Sausage products!